Hope you all had a great week! It’s never dull around here, so I’m looking forward to the weekend. This week I shared a new use for old hubcaps as a magnetic bulletin board. I also made one more attempt at decorating faux Easter eggs and I love how they turned out. If you are on Pinterest would you do me a huge favor and give me a follow? Here’s the link. I would GREATLY appreciate it. Thanks! This Gardener’s Supply Company Mobile Tool Storage Caddy is a smart idea and would be a cool gift for someone who likes gardening. Don’t get this as a gift for someone, like me, who does’t like gardening though. I still want it, don’t get me wrong. Just not for Mother’s Day. Ha! I love to stumble on photos that aren’t something I would necessarily recreate, but that I appreciate for what they are. Someone was brave enough to paint a ceiling red. And it is awesome! That green hand chair is fun. I’d totally try it out. I’d love to know how they created that blue wall effect. A banana book end? How can you not smile looking at that? 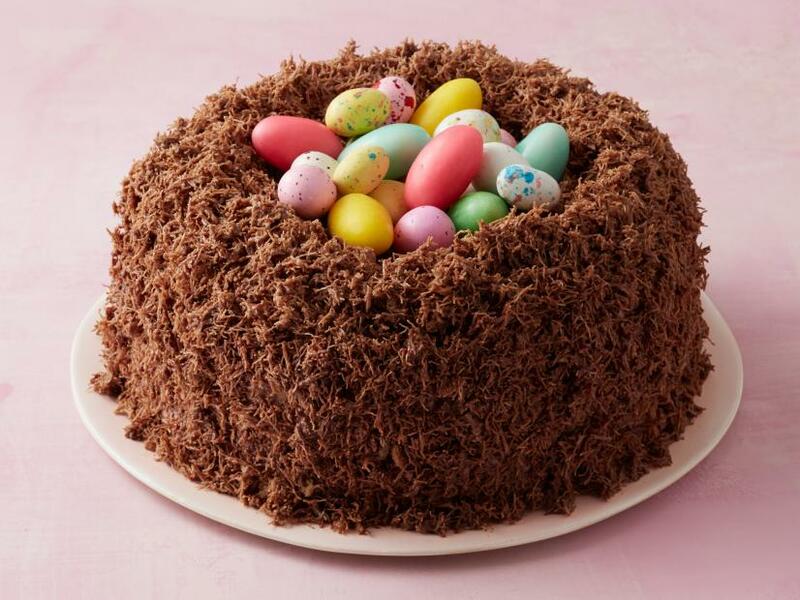 If I was going to bake an Easter cake (I’m not, but IF I was), I think I could handle this one. So cute! I have not watched the new HGTV show, One of a Kind, yet. We don’t have cable. Or a tv. I’ve caught the highlights on Instagram though. This built-in shelf area created out of bricks gave me all the feels. 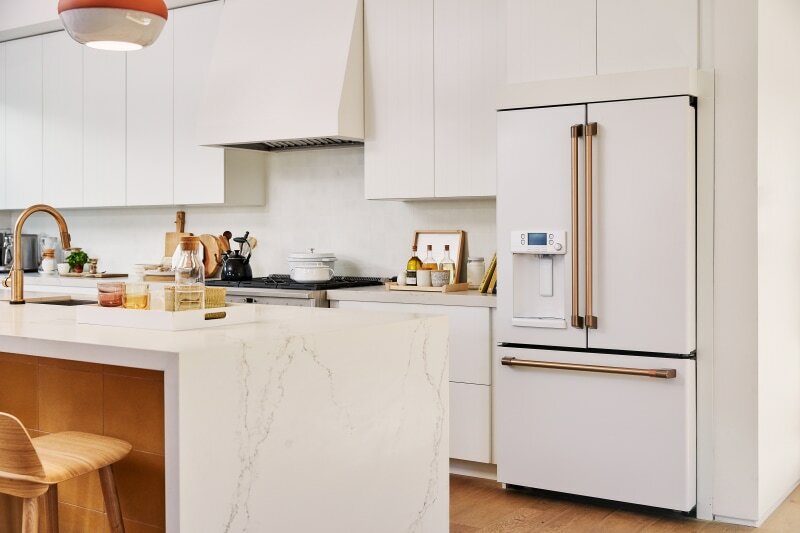 How do you feel about matte white appliances? Or any colored matte appliances? I’m not sure I’m ready yet. 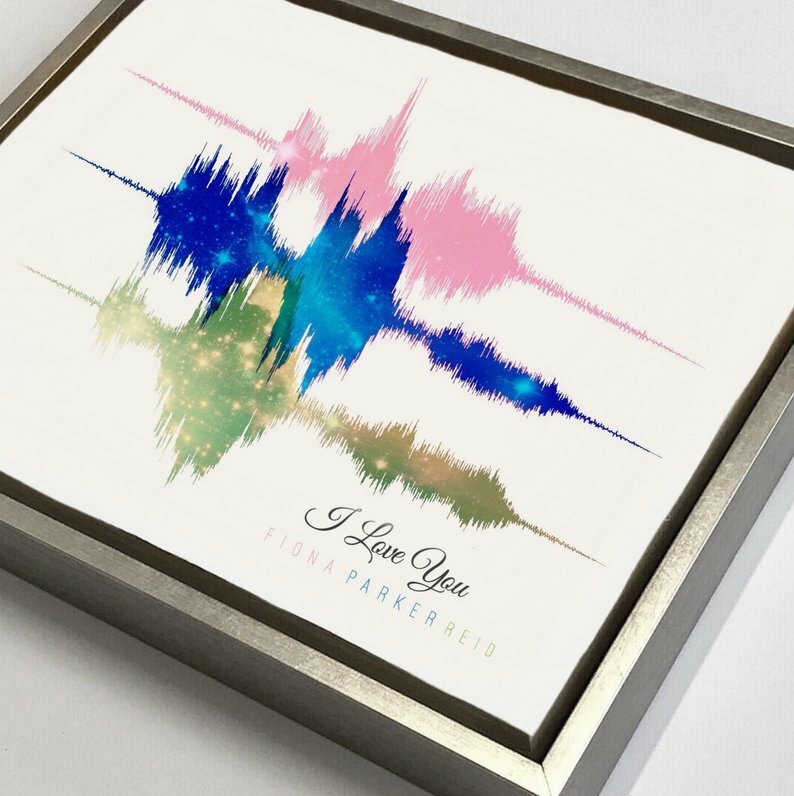 This art idea showing the sound waves of your children saying “I love you” has officially melted me into a pile of goo. You email them an audio recording of whatever you want and they turn that into art. I’m a sucker for a sentimental idea. I’m also a sucker for an interesting roof line. 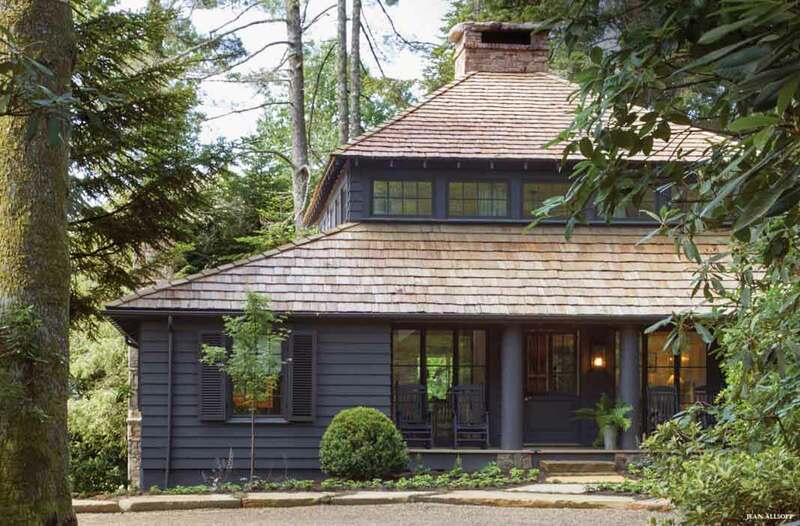 More photos of this home can be found at Birmingham Home & Garden. I listened to this podcast on the three things that made the modern economy. Who knew an s-bend pipe could be so important?!? I read this article on why your brain builds habits. Made a lot of sense! That’s it from me. Happy Friday! Go forth and conquer your weekend!